While Benin remains a poor country, the Government is committed to poverty reduction, especially among vulnerable populations. Maternal mortality rates are high, for reasons including insufficient emergency obstetric and newborn care, and a high unmet need for family planning. 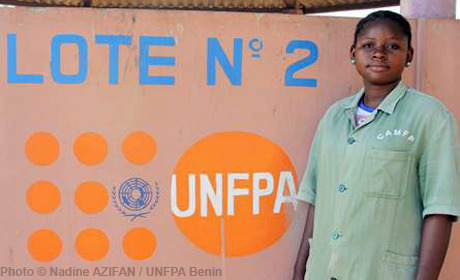 UNFPA supports programmes to improve services in both areas and expand reproductive health care specific to adolescents and youth. It helps strengthen statistical information systems as well as national capacities to manage and coordinate population programmes. Support for gender equality includes initiatives to prevent and respond to violence against women.